Why should I choose ENERGY STAR-certified LED lighting products? LEDs, or light-emitting diodes, are semiconductor devices that produce visible light when an electrical current is passed through them. LEDs are a type of Solid State Lighting (SSL), as are organic light–emitting diodes (OLEDs) and light–emitting polymers (LEPs). 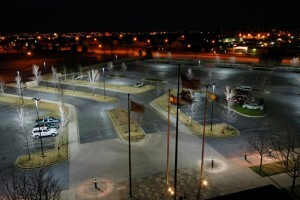 Our Denver lighting company is a top proponent for LED lights among other modern energy solutions. LED lighting differs from incandescent and compact fluorescent lighting in several ways. 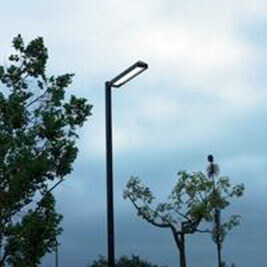 When designed well, LED lighting can be more efficient, durable, versatile, and longer-lasting. Common LED colors include amber, red, green, and blue. There is actually no such thing as a “white” LED. To get white light as the kind we use for lighting our homes and offices, different color LEDs are mixed or covered with a phosphor material that converts the color of the light. The phosphor is the yellow material you can see on some LED products. Colored LEDs are widely used as signal lights and indicator lights, like the power button on a computer. LEDs are now being incorporated into bulbs and fixtures for general lighting applications. LEDs are small and provide unique design opportunities. Some LED bulb solutions may look like familiar light bulbs and some may not but can better match the performance of traditional light bulbs. 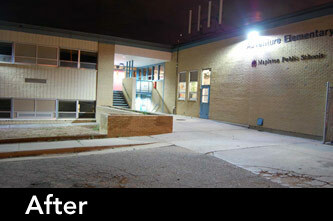 Some LED light fixtures may have LEDs built–in as a permanent light source. LEDs are “directional” light sources, which means they emit light in a specific direction, unlike incandescent and compact fluorescent bulbs, which emit light — and heat — in all directions. 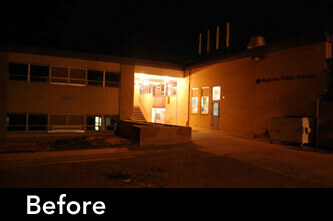 For this reason, LED lighting is able to use light and energy more efficiently in many applications. Incandescent bulbs, which produce light using electricity to heat a metal filament until it becomes “white” hot or is said to incandesce. As a result, incandescent bulbs release 90% of their energy as heat. Compact fluorescent lighting relies on an electric current that flows between electrodes at each end of a tube containing gases. This reaction produces ultraviolet (UV) light and heat. The UV light is transformed into visible light when it strikes a phosphor coating on the inside of the bulb. The useful life of LED lighting products is defined differently than that of other light sources, such as incandescent or CFL. This is because LEDs typically do not “burn out” or fail. Instead, they experience lumen depreciation, where the amount of light produced decreases and light color appearance can shift over time. Instead of basing the useful life of an LED product on the time it takes for 50 percent of a large group of lamps to burn out (as is the case with traditional sources), LED lighting’s “lifetime” is set based on a prediction of when the light output decreases 30 percent. Because LED lighting systems don’t radiate heat the way an incandescent or halogen light bulb does, the heat produced from the power going into the product must be drawn away from the LEDs. This is usually done with a heat sink, which is a passive device that absorbs the heat produced and dissipates it into the surrounding environment. This keeps LEDs from overheating and burning out. Thermal management is probably the single most important factor in the successful performance of an LED light over its lifetime because the higher the temperature at which the LEDs are operated, the more quickly the light will degrade, and the shorter the useful life will be. LED products use a variety of unique heat sink designs and configurations to manage heat, so they may look very different from one other. Regardless of the heat sink design, all LED products that have earned the ENERGY STAR have been tested to ensure that they properly manage the heat so that the light output is properly maintained through the end of its rated life. Find ENERGY STAR certified light bulbs and light fixtures to find the best energy solutions for your needs. As always, our electrical contractors are here to help! Contact us today for assistance.